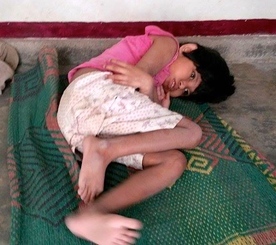 Below are photos of disabled children who are patiently waiting for their wheelchairs. All these children have never received any aid and have only ever been laid flat on the ground, some for as long as 25 years. A lot of these children are fully aware but are trapped in paralyzed bodies in a country where very few help or understand. LFC Endri Foundation is a new foundation and the only foundation supplying wheelchairs to a population of 4 million people There are thousands of forgotten disabled children, and w﻿﻿ith your help we are sparking change. 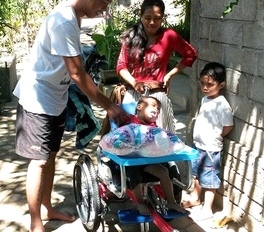 A wheelchair for these children is life changing for the child who can sit up and see the smiles and & parents who get so much more freedom to go about their work etc Click Here to see Endri's huge list of waiting forgotten disabled children that you will be helping. 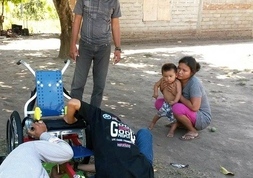 Endri has just finished training three new disabled wheelchair technicians who each locate children and fit many disabled wheelchairs each week. Endri seeks $30 per week wages for these employees. 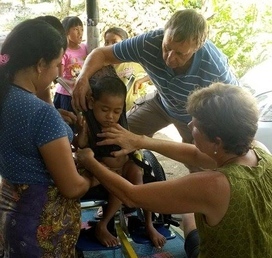 √ Completed Wheelchair Child Number 24: Supra 12 years Donor: funded ? 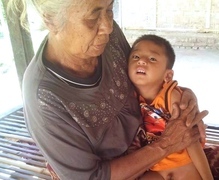 Wheelchair Number 73 ... Azina- 3 years: Donor: funded - Notes -- SEND TO LATRA BALI? OP - Could walk? 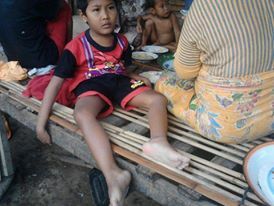 She is Muliani, 7 years old, CP, braindamage, she very need wheelchair, very poor family, she can't eating by self. Wheelchair Number 62 ... Nasir - 48 years: Donor: funded -Peni Yarti 8? "I DON'T WANT LIFE SAVING SURGERY - MY WISH IS A NEW SEWING MACHINE" This is nice story for this week - but also sad. 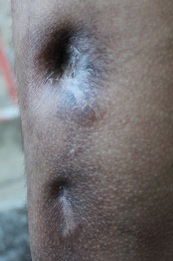 Nasir is a typical confused Lombok victim, a 48 year old man - who for whatever reason he will not make the hard choice to agree with doctors to get his leg amputated to save his life.As a founding start-up manager and business advisor to Endri Tanjung my job is to prioritise - and Nasir's request for us to buy a $600 sewing machine is almost what it takes to run the Endri Foundation for a month! - and to waste time getting it to him on a donated vehicle while we have others in much greater need, like poor dying Ridwan who came to us this week has no comparison -especially while we badly need small funds to operate a kind of 'village hospice service for the terminally ill'. (Endri is funds to Ridwin today). Funding wise at the moment the most important thing is $25 weekly wages for Endri's Staff (and also $25 for expenses for each one for motor bike fuel etc.) We are seeing the results of trained staff with our Aid assistance & reach growing exponentially. Also we are a savvy team that must not be scared to ask for help, free car use etc - through necessity Endri and the team is learning this and local Lombok people are finally coming aboard & assisting. 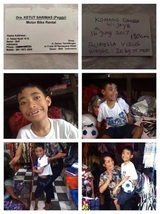 It is so great to see some local financial support and compassion and local person has brought Nasir his sewing machine. 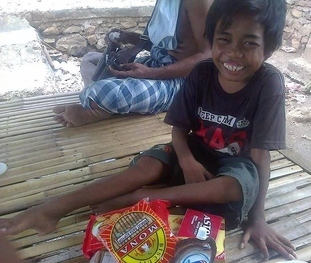 smile emoticonJust because I PRIORITISE - luckily it doesn't mean I don't share the joy of this Nasir's wish, a wish that has come true thanks to a Lombok local who has provided this. It is a joy to see. smile emoticonThe last thing; a group member asked me about funding a sewing machine - and I mentioned we had higher priorities - Endri mention to me once about a request from a dying child - his request was simply to have a meal of chicken!Maybe now Nasir has his sewing machine he will take action to save his own life and possibly Latra Puspadi & his wonderful disabled foundation can help with a new prosthetic. PS Often after a group information post like this we get bombed with questions, what is causing this? 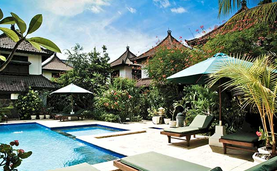 such and such in Bali can fix this! 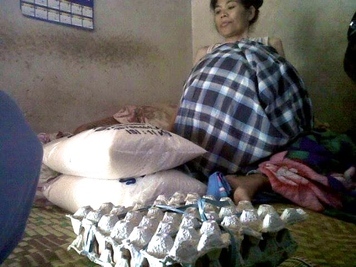 etc etc ... if people want to help with small prioritised 'fund a wish' projects like a chicken meal for a dying child - feel free to contact me direct or Endri. Wheelchair Number 61 ... Peni Yarti - 8 years: Donor: funded -Peni Yarti 8? 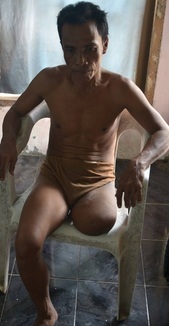 Wheelchair Number 60 ... Dedi Iskandar - years: Donor: funded -Dedi Iskandar 11? Wheelchair Number 59 ... Hamzan Wadi - years: Donor: funded ? 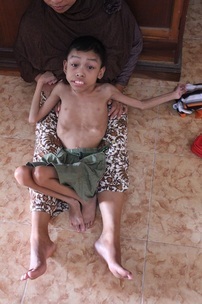 Wheelchair Number 58 ... Bayu - 14 years: Donor: funded ? Wheelchair Number 57 ... Abian Hazik- 2 years: Donor: funded- Abian Hazik-2yrs ? Wheelchair Number 56 ... Adrian - 4 years: Donor: funded ? 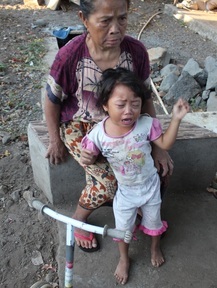 Wheelchair Number 55 ... Rahmawati- 16 years: Donor: funded ? √ Completed Wheelchair Number 54 ... Mufti Kamil- 5 years: Donor: funded ? Wheelchair Number 53 ... name coming - years: Donor: funded ? Wheelchair Number 52 ... name coming years: Donor: funded ? Wheelchair Number 51 ... Child at Eka's 4 years: Puspadi ? √ Completed Wheelchair Number 50 ... Ubud? years: Donor: funded ? √ Completed Wheelchair Number 49 ? 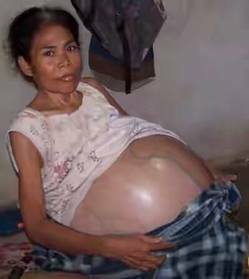 Sudirsah 58years: Donor: funded ? Wheel Chairchild Number 48 - Adek ? years: Donor: funded ? 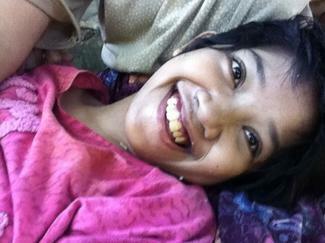 Wheel Chair Child Number 47 - Dandi Umur 14 years: Donor: funded ? 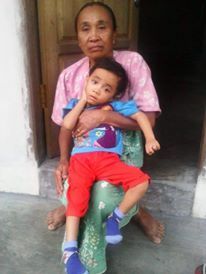 √ Completed Wheelchair Number 46 - Rizka Handayani 4 years: Donor: funded ? √ Completed Wheelchair Number 45: Symsul Lufti 11 years Donor: funded ? 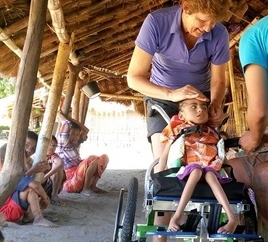 √ Complete Wheel Chair Child Number 44: Mosa years Donor: funded ? Wheel Chair Child Number 43: Mila 7 years Donor: funded ? Completed√ Wheel Chair Child Number 42: Asranul Gufron 7 years Donor: funded ? Wheel Chair Child Number 41: Andre 4 years Donor: funded ? 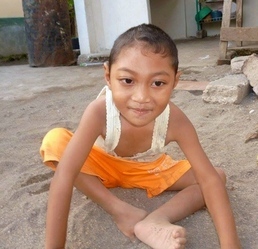 Wheel Chair Child Number 40: Rian 8 years Donor: funded ? 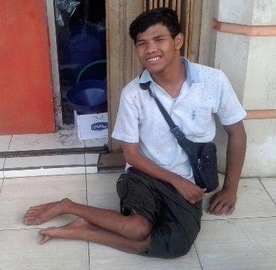 √ Completed Wheelchair Number 39 KOMANG - Sanur - Bali ? years Donor: funded ? Condition: Rubella Local Connectors / Volunteers: Edgar Scheepmaker - Rebecca Graeme (FB). 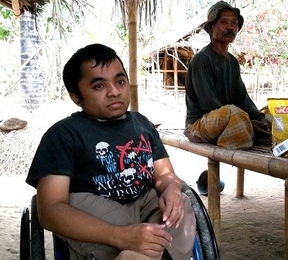 √ Completed Wheelchair Number 38: Bima Susanto ? years Donor: funded ? 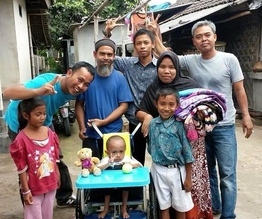 √ Completed Wheelchair Number 37: Hafiz - 2.5 years Donor: funded ? Wheel Chair Child Number 36: Dera - 11 years Donor: funded ? Wheel Chair Child Number 35: Unknown - Endri ? years Donor: funded ? Wheel Chair Child Number 34: Unknown - Endri ? years Donor: funded ? Wheel Chair Child Number 32: Hadijah 8 years Donor: funded ? √ Completed Wheelchair Number 31: Arial ? years Donor: funded ? 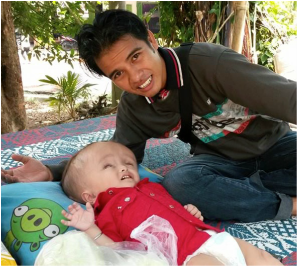 Wheel Chair Child Number 30: Ahyar Rosidi, East Lombok Donor: funded ? 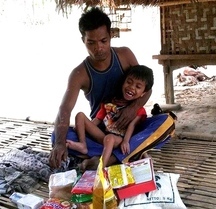 Condition: He has been disabled since 8 months old & father could not afford school. 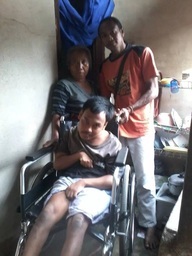 He lives alone with his father and is very poor, his present wheelchair has been repaired many times. Wheel Chair Child Number 29: Rini ? years Donor: funded ? Wheel Chair Child Number 28: Afipudin 20 years? Donor: funded ? 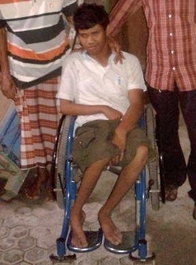 Wheel Chair Child Number 26: Mahruf Donor: funded ? Wheel Chair Child Number 25: Anggi ? years Donor: funded ? Wheel Chair Child Number 23: ???? ? years Donor: funded ? Wheel Chair Child Number 22: ???? ? years Donor: funded ? Possible Wheel Chair Upgrade Number 21 Sugiar: ? years Donor: funded ? Wheel Chair Number 20: ???? ? years Donor: funded ? 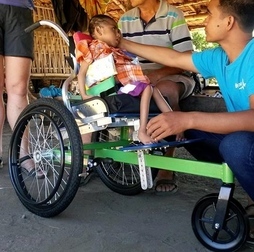 Wheel Chair Child Number 19: Sidik 20 years Donor: funded ? Ibenez phone number.. 087864257879 and pin my bbm 7F5AF856 address aprianisa ampenan kebon roek..
Wheel Chair Child Number 18: Rini ? years Donor: funded ? √ Done Disable Child Number 17: Pira 9 years Donor: funded ? Wheel Chair Child Number 16: Mukti ? years Donor: funded ? Wheel Chair Child Number 15: Mansur ? years Donor: funded ? 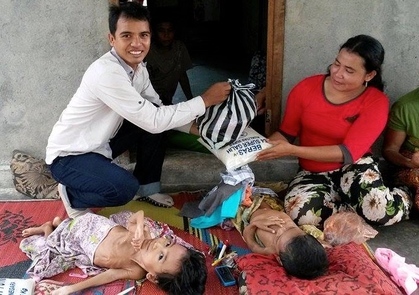 Wheel Chair Child Number 14: Sodok 24 years Donor: funded ? 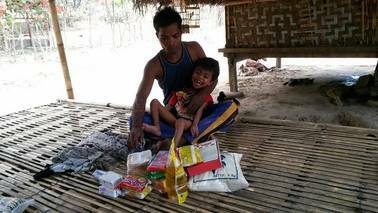 Food Aid - Radio & regular support given. Wheel Chair Child Number 13: Diki's Grandma ? years Donor: funded ? Wheel Chair Child Number 12: Lidya 7 years Donor: funded ? 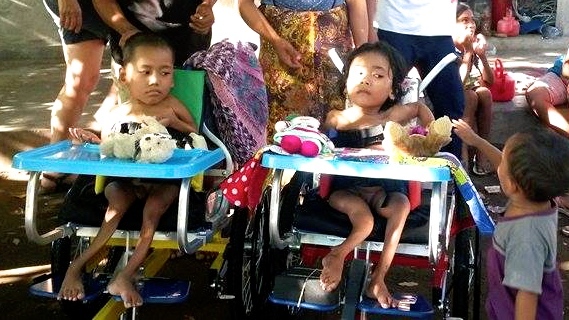 BEFORE: 2 wheel chairs for 1 family - very sad: Above Endri with food support program. Wheel Chair Child Number 9: Yoni Donor: funded ? 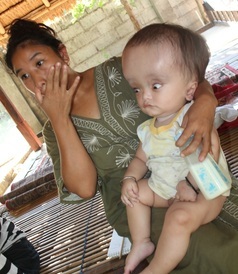 Wheel Chair Child Number 8: Baby Habibi Donor: ? 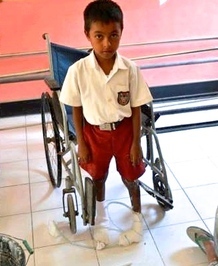 Wheel Chair Child Number 7: Diki Donor: funded ? Wheel Chair Child Number 6: Ariandi 7 years Donor: funded ? Wheel Child Chair Number 5: Siarnim 20 years old Donor: funded ? Wheel Child Chair Number 4: Gita Donor: funded ? Wheel Chair Child Number 3: Vavajjito 5 years Donor: funded ? Wheel Chair Number 2: Firton 10 yrs Donor: funded ? The Project: 100% of your sponsorship goes to the children :) We are fortunate that most costs & equipment are covered, but we do seek some $98 sponsorship to leave food & other small necessities & gifts for the children. About - together with Project Funders: Wheel Chair for Kids Foundation, BY THE END OF THE 2015 WE PLAN TO MATCH 100 CHILDREN WITH A LIFE CHANGING WHEELCHAIRS, and for transparency share a happy photo of each of them with their new wheelchair raising $98 per child. Through Robert & the 'Lombok Solemen LFC' new start up team, we may have a connection to a wonderful sponsor & wheel chair source. So hopefully now we don't have to walk away and be able to get Endri to deliver these life changing chairs. We also look foward to all the photos.